Crier Of Claife - Part 2 A silent scream. .......... After two or three minutes, the path turned into a road courtesy of a cattle grid and kissing gate. The home straight. With five minutes to spare David reached a junction and turned left on to the last few hundred metres of the ferry road. It was deserted but that came as no surprise until he rounded the final bend and saw a still empty road disappear into the lake. There was no-one there. More to the point he could see no sign of a ferry. He checked his watch. It was eight fifty seven. He wiped his sleeve down the plastic sheet protecting the ferry timetable. Sure enough, the last ferry was timetabled to leave at nine. David followed the line of the thick metal cable with which the ferry pulled itself across the lake. On the far shore he saw a bulky, open ended boat with railings on either side. The ferry was black and silent. He scuffed his boots angrily on the road. At best, he was facing a long walk back to Sawrey and what he imagined would be a very expensive night at The Cuckoo Brow. At worst, they would be full and he’d have to head back the five miles or more to Hawkshead. ‘John! But, why – er, how-‘ David blustered. ‘Right,’ David acknowledged, hoping this was the last time his heart rate was going to accelerate quite so alarmingly. ‘If I ever get the time I’ll have to write them a stern letter,’ he joked, pointing across the lake to the ferry. David hesitated. For the second time that evening he contemplated whether or not he wanted to spend any more time with the man who kept appearing out of nowhere. He didn’t exactly look like a maniac, David thought, but he was definitely odd. David urged his brain to hurry up. It was obvious he was trying to make his mind up but the longer he took the more offence he was going to cause. John shrugged, slightly embarrassed by the compliment. John led back down the road a short way and then picked his way down to a rope knotted around the broad bole of an oak tree. ‘This one,’ he said, pulling the rope to guide in a sturdy, squat looking skiff. The rope was attached to a length of chain secured to the boat with a rusty looking combination padlock. ‘Not particularly sophisticated,’ he joked, turning the dials on the lock. ‘Does he use it much?’ David wondered, looking at the moss gathering beneath the lip of the boat edge. ‘Does it look like it?’ John joked, pulling a mouldy green cover back. ‘I’m sorry, but I’m a bit funny about getting my feet wet. Do you mind?’ He mimed holding the boat. With the boat held fast John carefully lowered himself in. He shuffled forward to the prow taking care to avoid a puddle of water in the centre of the boat. 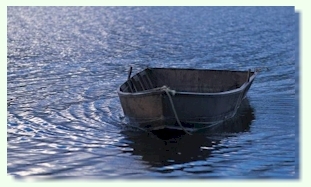 ‘I’ll row,’ David volunteered, not wanting to be any more in debt than he already was. ‘I’ll keep us straight then,’ John said turning to face forwards. David climbed in and settled himself on the boat’s middle seat. He tried to ignore the unpleasant sensation of dampness rising up through his trousers and busied himself, pulling the oars out from beneath his feet and fixing them in the rowlocks. David pulled cautiously on the oars. The boat wobbled then settled into motion. It was an eerie sensation, edging away from the blackness of the shore into the blackness of the lake. ‘So, there’s the ghost of a heartbroken monk who moans and wails on stormy nights...’ David prompted. John laughed gently behind him. ‘Well,’ John began, his voice rising and falling with the wind. ‘The story goes that, many years after the monk’s death, a ferryman was taking refuge in The Ferry House, nursing something warm whilst a group of merrymakers were drinking and singing. Then, all of a sudden, the singing stops. 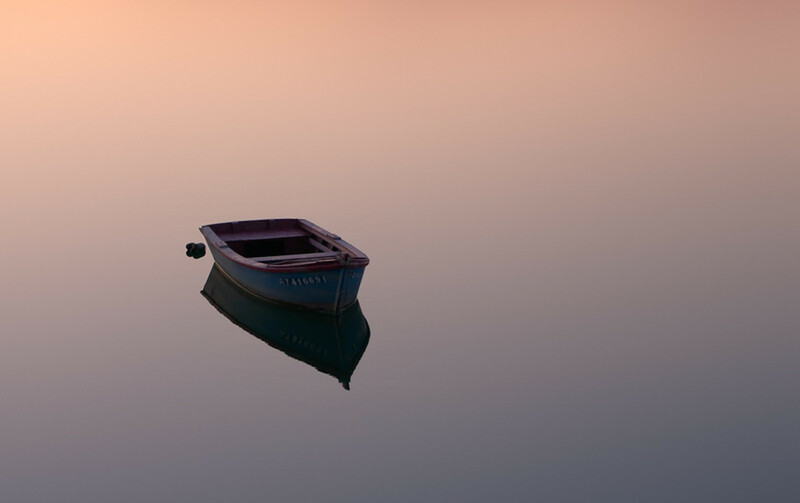 There is silence in the pub until, a few seconds later, there is the unmistakable cry of someone calling for a boat. The ferryman, ever dutiful, drains his cup and makes to head across to take a fare. ‘Boat!’ comes the wail again. ‘And! ?’ David complained, half turning round. ‘You can’t leave it there! It’s brilliant – sorry!’ he apologised as he dipped an oar clumsily, sending up a spray of water. Out of the corner of his eye he saw John flinch. ‘I’m not worried about that,’ David joked. ‘I’m going to start going round in circles if I have to. Anything to get to the end of the story. That’s not the end, is it?’ he asked, suddenly panicking. ‘And had he?’ David asked, shouting a little to carry over the building wind. The boat was starting to emerge from the lee of the island and he steeled himself for a difficult finish. ‘I know how he feels!’ David interrupted, throwing his weight into each stroke as the lake began to churn. There was no avoiding splashes now and he felt the lake water start to run down his chest. John continued, his voice somehow carrying the storm without any apparent effort. ‘He’d seen the ghost?’ David guessed. David felt hairs suddenly prickle on the back of his neck. The boat rocked as David stuttered in his stroke. Beneath his feet the puddle had increased and sloshed warmly against his feet. ‘Until men should walk dryshod across the lake,’ John intoned. ‘Okay. So we’re safe!’ David said loudly, as if trying to drown out the change in his companion’s voice. He reminded himself that he was drunk. He was imagining things. He was nearly home and dry. ‘What do you mean, ‘perhaps’?’ David yelled over the wind, trying to keep the hysteria he was feeling out of his voice. The East bank of the lake was almost within reach. David screamed. The puddle beneath his feet was growing deeper and warmer. He turned in his seat, desperate to see the boat reach land. 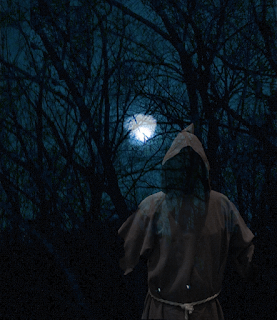 Behind him the bleeding spirit of the monk ripped his mouth apart in a black, bottomless smile. As every fresh fleck of storm water touched his bone-white skin another gash tore itself open. The Crier reached into the leather belt stretched across his habit and pulled out a knife. David Graham convulsed into another scream. A scream that was never heard. Crier of Claife - Part 1 . Can you ever truly lay a ghost to rest ? David Graham bent closer over the map. The mild December wind was clearing his head after one too many at ‘The Cuckoo Brow’. ‘Left, left and follow your nose down to the lake,’ he mumbled to himself. ‘I have a map, I have waterproofs, I have a head torch and I have a nose’. He suddenly snorted with laughter at the idea of following a giant nose to the lake. A hundred yards down the road, he met the track that veered left. For a moment he considered just sticking to the road. It would be easier and, of course, the more sensible option but, dammit, he wasn’t here to be sensible, careful or, if it came to it, particularly sober. That was exactly what he needed a break from. Besides, the ferry was no more than a mile and a half away and by the time he got to the top of the ridge he should be able to see Windermere, and then surely it was going to be pretty difficult to get lost when all he had to do was walk down to the massive watery bit and keep it on his left until he reached the ferry. The track rose gently between stone walls. 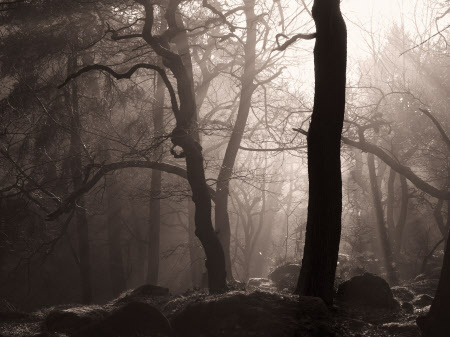 As the lights of ‘The Cuckoo Brow’ fell behind him, the fields revealed themselves against the black edges of the walls and the trees. Sheep grazed and bleated softly. Beneath the scudding clouds David walked on; one step followed another. Every now and again a flurry of rain swept across the path but it was nothing. David looked up and enjoyed the spectacle of bulging clouds flocking, like so many monsterly sheep, across a starry sky although a three-quarter moon was still providing enough light to walk by without the torch. David took in the rise of the land and, from his memory of the map, earmarked a gateway up ahead as a possible junction. Half an hour later he was lost. David stopped and pulled out his head torch and the map. The phone was dead so GPS wasn’t going to solve his problem any time soon. Looking closely he could not decide which path he was on, so instead he traced an area bound by road and lake which he knew he had to be in. It was only about two square miles but it was far from comforting. He was well aware that two square miles provided ample opportunity for walking round in circles. He looked back up about him. Somewhere, maddeningly, the lake, with all its lights, was waiting for him. He pulled back his left sleeve to look at his watch. It was quarter past eight. The last ferry was nine ‘o’ clock. 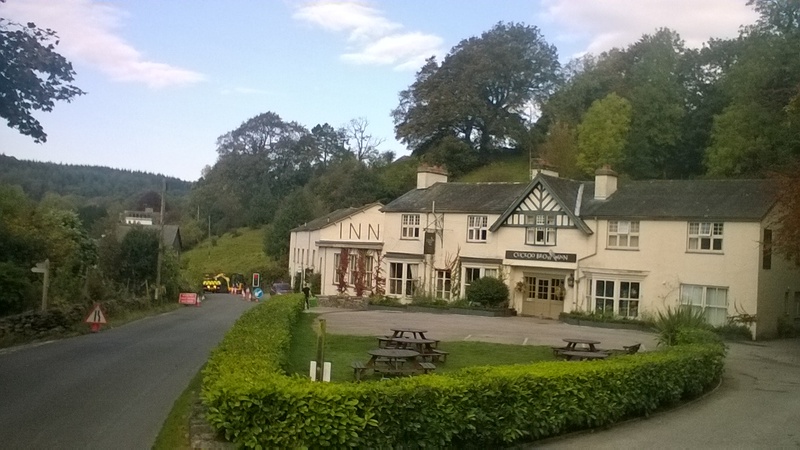 If he missed it then he missed a night at Ambleside Youth Hostel and a warm slice of nostalgia. Not to mention the waste of thirty five pounds. A treetop roared as a blast of wind tore into it. The first flutter of panic shivered through him. He’d wasted half an hour. Where would he be in another half hour? The clouds were consolidating into a uniform mass. What little natural light there was would be as good as gone in a few more minutes. The land had lost its shape and the only landmarks he could rely on were the trees, but all they told him was that he was in a wood. David told himself to get a grip. It was impossible to get truly lost in the Lake District. Every walker knew that. You could lose your way, you could go down the wrong valley but sooner or later you’d meet a road or a pub or a sign or someone else stupid enough to be out in all weathers. He was on a path, he should stick to it. Something would turn up. He tucked the map away and set off. ‘Lost?’ the man asked. He wore an amused smile under his hood. David screwed up his eyes. It seemed an odd name for anything but sure enough, as he wiped away another drip, he saw what the man was pointing at. Then he saw how far wrong he’d gone. David stuffed the map back into his pocket and started to run off. From the map he’d seen that, although the path was currently heading away from the ferry, it would soon snake down to Windermere and once by the side of the lake he could pick up an obvious track back to where he should have been about forty minutes ago. David paused. He was torn. His sense of adventure had returned and, if he was honest, no sooner had this Good Samaritan reassured him that he wasn’t completely lost then he wanted shot of him. On the other hand the guy clearly had a point. Three miles or so in half an hour, probably less, was doable, just, but one slip on an exposed rock or over one of the many tree roots and he really would be in trouble. And what was to stop him getting lost again? He couldn’t expect any more Guardian Angels appearing on a night like this. John had been walking without a head torch and clearly saw no reason to use one now. David followed behind in the wobbling light of his torch, feeling as if years of pavements and suburbia had robbed him of something. A few moments later the raindrops fattened and began to hurl themselves down. 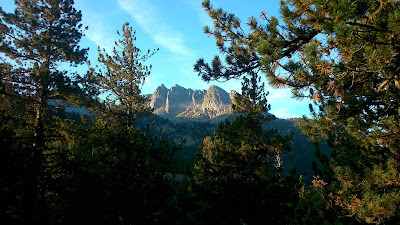 Fortunately the path had taken them into a dense patch of coniferous trees. John kept up his pace. ‘How can you see where you’re going?’ David asked, bemused at the agility of the man in front. The two men continued on in companionable silence for a few more minutes. The ground was steep but the path was steady and it wasn’t long before David finally saw some clusters of light which he knew had to be on the far side of the lake. ‘Ah, well, there’s a story about that,’ John said enigmatically. ‘I stand warned,’ David agreed. ‘What was he supposed to do about it?’ David wondered. ‘I take it he failed?’ David said as the ground began to level out. ‘What? Oh right my torch,’ David reached up and pressed the switch on his head torch. They had reached the main path by the lake. The going was easy and, despite the glowering sky, there was enough residual light coming across the water from Bowness for David to make his way without any help. The evening was back on track. ‘Lots of wailing?’ David prompted. A rude metallic scraping sound filled the air. David took a sharp intake of breath. ‘Oh, right – er, thanks,’ David replied, a little thrown by his companion’s abrupt change of tone. ‘You could say,’ John smiled. Now that David had a better look at him he saw a younger man than he’d expected, no more than his twenties, with a pale, unweathered face. His smile looked strangely forced, like a mask protecting something else. He stayed like that as David reluctantly broke into a gentle run. 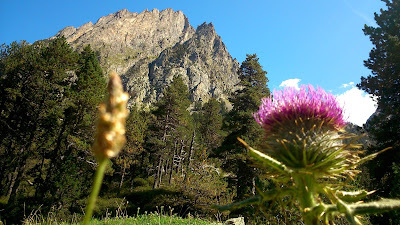 A visit to the Aiguestortes I Estany de Sant Maurici National Park. 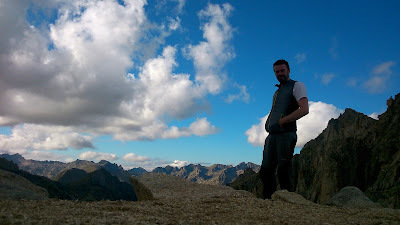 In September I was lucky enough to pay a visit to a National Park in Spain, to find out how things were done over there, and if any ideas might be transferable to the Lake District. The trip was funded by the National Trust’s Land, Outdoors, and Nature travel bursary scheme, which enables NT staff to investigate good practice of helping people to connect with nature. 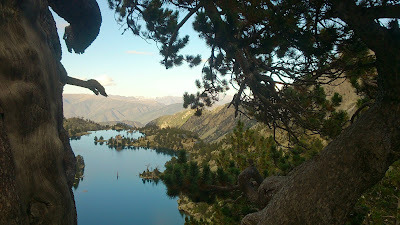 The Aiguestortes I Estany de Sant Maurici National Park is in the north-west corner of Catalonia, close to the French border in the Pyrenees. The name translates as ‘winding rivers and little lakes of Saint Maurici’, and it doesn’t disappoint. Amidst the countless rivers and lakes, deciduous woodland merges into pine forests which cloak the hillsides up to a natural treeline, and from which vertiginous peaks emerge, rising skywards for up to 3000m. It’s a spectacular landscape, popular with visitors wishing to exploit the wealth of recreational opportunities. But I was keen to find out how people were managed, how the expectations of visitors were balanced with conservation, and whether any ideas would be relevant to the particular pressures facing the Lake District. Designated in 1955, the park covers 408km2, split between a peripheral zone of 267km2, and a core area of 141km2. This distinction plays a pivotal role in how the park is managed. Within the core area, human activities are stringently regulated, with a firm emphasis on access by foot only, and allowing natural processes to dominate. There are no permanent dwellings within this area, the only buildings being the high mountain ‘refugis’. Somewhere between a youth hostel and a mountain bothy, these are staffed in the summer months, and for a few euros weary hikers can receive a hot shower, a meal, and a bed for the night. As no camping is permitted anywhere within the core area the refugis play a vital role in enabling visitors to explore the park. However, many people, including park officials, believe that the camping regulations are too strict and in a wild area with no roads are unenforceable anyway. No roads means no traffic however, which lends the core area a very peaceful atmosphere and makes it feel more remote than it actually is. The only vehicles permitted to enter are Land Rover taxis to ferry people to the two main starting points for hikes at either end of the park. Other prohibited activities include hunting, fishing, swimming, and the gathering of wood and mushrooms, to name but a few! All these rules can seem fairly draconian at times, and certainly a good deal of the residents in the surrounding villages feel somewhat alienated by some of the restrictions. Mushrooms seem to represent a particular bone of contention, with a lack of comprehension that a popular activity practised for generations is being curtailed. On the whole though, there is support for the park and what it is trying to achieve, certainly in the two main gateways of Espot and Boi. These villages have seen living standards improve dramatically in recent decades, as they have moved from isolated and self-sufficient farming communities to ones largely supported by tourism. Of course, this process is not itself without drawbacks, as traditions in this fiercely independent region have been eroded and skills lost, and there is a danger that a decline in tourism would leave many local businesses in trouble. This shift from farming to tourism has resulted in a relative decline in livestock numbers in the core area. Traditional grazing rights mean that some farming is the only commercial activity permitted here, and although the evocative clanging of cowbells can still be heard within the boundaries, stocking densities are low enough to allow for the natural regeneration of the forest. Although welcomed by many, not everyone is happy with this development, with some viewing the expanding woodland as detrimental to the aesthetic appeal of the park, and even an increased fire risk. Outside of the core area, within the peripheral zone, rules are more relaxed. Commercial activities such as forestry and slate mining take place, and several small ski resorts bring in significant tourist revenue. Hunting and fishing are allowed with the necessary permissions, and the region is a significant destination for anglers. In fact, in efforts to maintain good relations with local communities, conservationists working to protect upland tarns from introduced brown trout have relocated them, at considerable expense, to lowland rivers. Within this zone are the power plants which are fuelled by the dams higher up. In a region epitomised by the existence of upland waterbodies, hydroelectric power has been a significant feature of the landscape for well over 100 years, and the power plants supply electricity to populations as far away as Barcelona. Many local communities hope that they will be able to gain control of this abundant and relatively environmentally friendly source when power company leases begin to expire in the next decade. One aspect of the economy which is under local control is the area of Romanesque churches in the Valle de Boi. These churches, with their distinctive belltowers, date back to the 11th century and are unique to the region. Their cultural significance is such that they were designated a UNESCO world heritage site in 2000, and are now another important draw for tourists in the region. 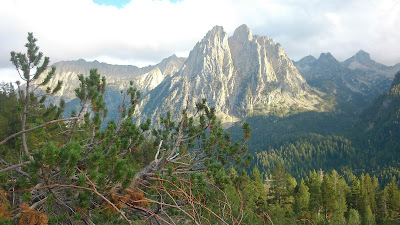 My visit to the Aiguestortes I Estany National Park revealed to me a beautiful, wild, and in many ways natural landscape. 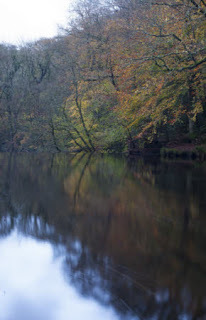 But a landscape still subject to the influences of human activity. I admired the protection of a core area, free from any significant development and exploitation, but recognised that this came not without its adverse effects on surrounding communities. How transferable these ideas might be to the cultural landscape of the Lake District is arguable, and it seems that the cohesion between economic, social, and environmental responsibilities is as finely balanced in the Pyrenees as anywhere. 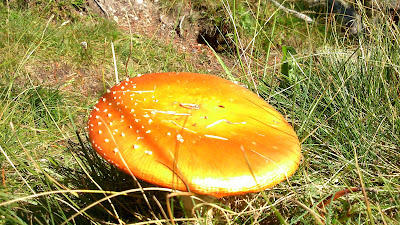 Fungi eat or be eaten ! Having just got back from a Tree Safety Management training course and recently hosted a fungal foray guided walk , fungi are featuring prominently in my worklife at the moment . 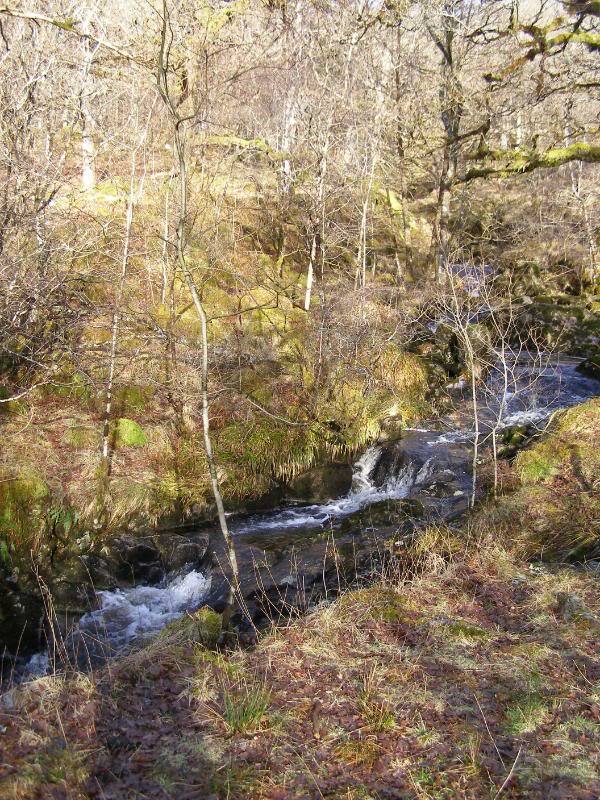 They are also behind some big challenges facing the National Trust in the Lake District . It is at this time of year that the Ranger team are out and about checking our trees for issues that might make them a risk to our visitors or property. We deliberately choose this time of year because this is the time that many fungi are fruiting and are making themselves visible around the base or trunk of the tree. For some trees next to busy roads, paths or houses , the presence of certain types of fungi can indicate a problem that might make the tree unsafe over time and because of this they may need some work doing to make them safe . This can mean the removal of a single branch , the removal of several branches to reduce the weight or height of a tree or in extreme cases, and as a last resort, the felling of the whole tree. We always try to do the minimum amount of work to a tree to make it safe. 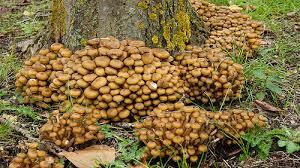 Honey Fungus at the base of a tree can be bad news . Fungi are an essential part of the ecosystem, many of our plants and animals , including humans , are dependent on the success of different forms of fungi for their survival . 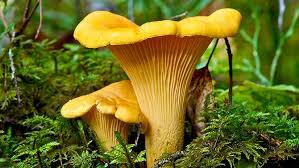 Many plants and trees rely on tiny networks of fungi in the soil for the absorbtion of minerals and nutrients . Fungi assist the recycling process by rotting down vegetation, without them we would be standing on a mountain of debris from years of growth. The success of certain types of fungi can be bad news though. Imagine what it feels like to press against a 400 year old solid oak beam and feel it crumble beneath your fingers. That was just what we were faced with at Townend House ( Troutbeck ) when we scraped away the top layer of render to check the condition of the beams holding up this grade 1 listed farmhouse. 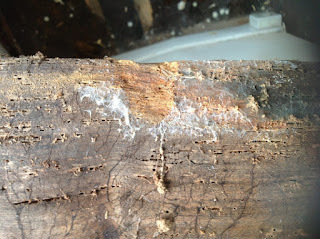 The discovery of this wet rot means a lot of expensive work over the winter to find ,repair or replace all the damaged beams potentially costing £100,000. I recently agreed ( actually someone volunteered me ! ) to host a ‘Foraging with the Farringtons ‘ walk around Harrowslack on the west shore of Lake Windermere for the Hawkshead Womens Institute . 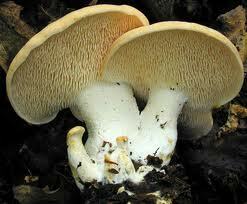 In previous years , in the company of a knowledgeable expert we have found 95 species of fungi some edible some not . This has been a cold year in the lakes and the fungi were being a bit shy , after rummaging around I managed to gather 5 species on our walk some nice Chanterelles, a couple of Birch Boletes , Yellow Russulas , a small puffball and a hedgehog fungus all pretty easy to identify and good to eat . Always use a good ID book or better still go on a walk with an expert. So fungi are very much a part of life in the National Trust at the moment sometimes dangerous, sometimes delicious , sometimes downright costly , but always interesting .